4 The Kids USA ! We Keep God 1st in everything we do ! Family courts and contractors have plead guilty to crimes that alienate children from fit parents with unequal custody orders. Sometimes they take children from fit parents in divorce cases to receive federal dollars based on amount of child support orders issued. These courts do not follow the Bill of Rights or rules of criminal court offering financial kickback through conflicts of interest. The # 1 reason for removal of a child is for drug addiction followed by domestic violence and neither are classified as a crime there for no option for Trial by Jury while child is sent to strangers home being denied of Grand Parents and other family. Help us strenghten laws and set Jury Trials so save children and parents. all over the nation, since taking office as your President, I am issuing this very belated Executive Order. For decades, numerous lower court judges have issued court orders that Violate the Rights of Americans. have been especially prevalent in the "family courts". the foster care industry. Many have become homeless and many have committed suicide. physically, sexually and chemically abused in foster care have also Committed suicide. This very dark chapter in American History is going to come to an end so help me God. dollars have been taken from the Social Security Trust Fund to finance this Criminality. persuant to US Code Title 18 Section 242.
offender will also be Indicted and Prosecuted. 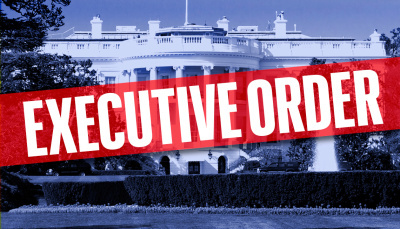 this order will be an enormous service rendered by the President for The American People.